Fast growing show now underway; more than 600 properties represented. The Bologna Licensing Trade Fair takes place this week, with more than 600 brands being showcased and a number of new exhibitors. As well as the exhibition, there is also a conference stream, with the Fair focusing on design trends. The keynote speaker is US designer Katie Hatch who will be discussing ‘design trends and an innovative licensing approach’. The growing Russian marketplace will also be highlighted, with a number of local agencies talking about their work. Other issues covered will include the development of Italian animation properties (mainly through the support of Rai Fiction which is responsible for 90 per cent of the industry); counterfeiting; food licensing; plus previews from Adidas, Moviemax, Team Entertainment and Lynx. A new introduction for 2013 is the Licensing Retail Day on March 27th. A presentation will be given of the first study into the penetration of licensed products into retail, particularly mass market, department stores and specialised stores. The day will also include one to one meetings between exhibitors and category managers and buyers. 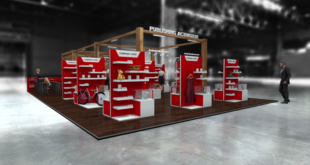 Retailers which have confirmed participation include Autogrill, Carrefour, Coop, Lekkerland, Cisalfa, Rocco Giocattoli and Buffetti, as well as licensing companies such as TCC and Brand Loyalty. Companies exhibiting at the event include Adidas featuring Federazione Italiana Rugby, Alphanim, CPLG, Grani & Partners, FremantleMedia, Licensing Italia, Planeta Junior, Rainbow, Rio Licensing and Rai Fiction among others. 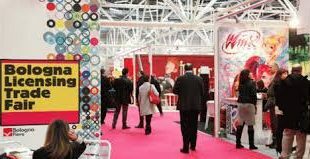 The Bologna Licensing Trade Fair runs from March 25th to 27th. Click here for more details.